Richard is coming to Payday, and he enjoys hurting people. Hotline Miami and Payday 2, a marriage bathed in the blood of the guilty, and the innocent. 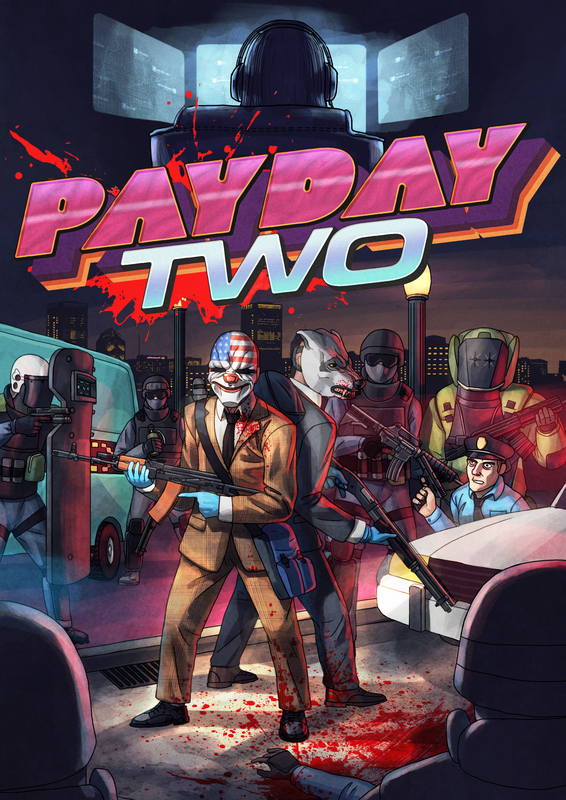 In other words, Overkill Software is going to release a Hotline Miami-themed DLC pack for Payday 2 later this month. The trailer, seen to the right, doesn't offer much in the way of explanation, plot, or detail. All you see is a Payday-esque masked man, followed by The Man Known as Richard (presumably). Along with the trailer, there's a post by Overkill over in the Steam Community Announcement section. The Q&A contained within offers some scraps -- Overkill is working with Dennaton Games on the DLC, there's a a confirmed heist, and a pretty rad DLC poster -- but that's about it. No mention of masks, guns, or plot, and I'm hoping the playable content goes beyond only one heist. The rest of the details are sure to be leaked or announced this month, otherwise we're all waiting until Tuesday, September 30th.